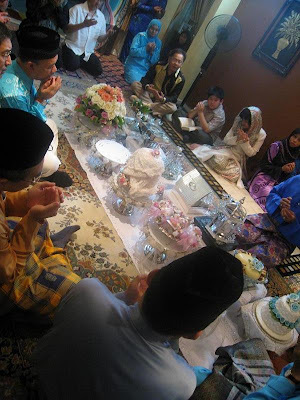 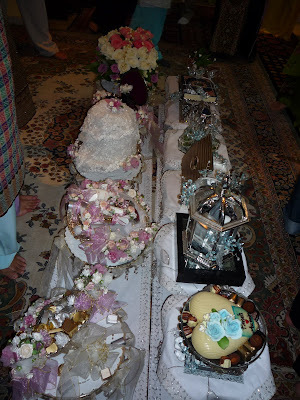 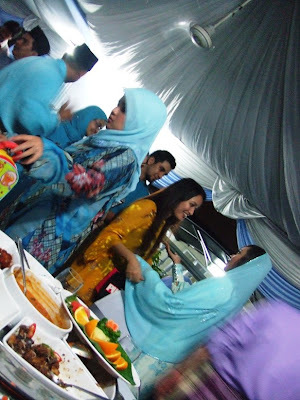 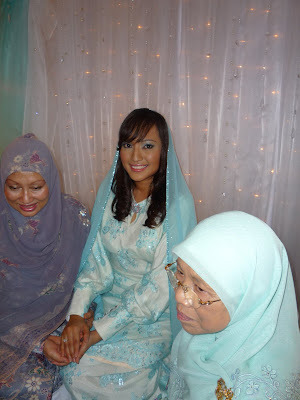 Posting pictures of my cousin, Puteri Farah Najwa's engagement ceremony held at Kelana Jaya. 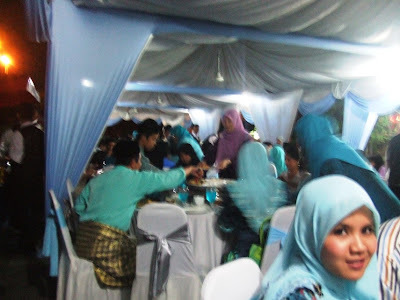 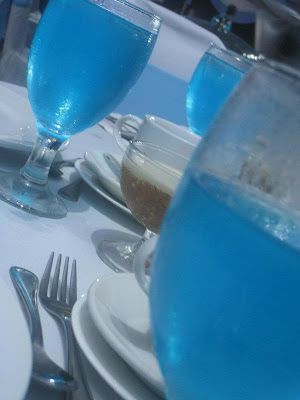 Theme for the family was turqoise. 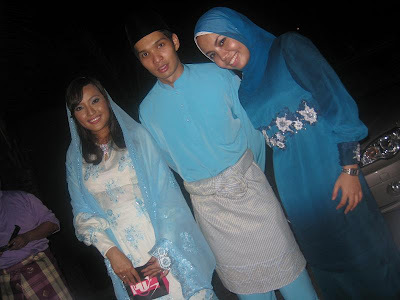 N me.. with Farah & Azmir, the soon-to-be Bride & Groom! 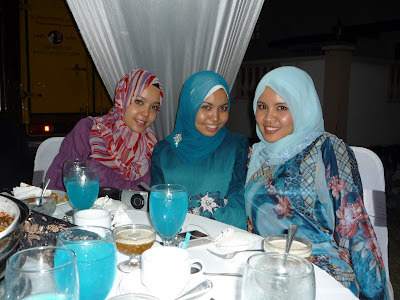 cantik la baju2 wani..design nampak different..
nih farah yg nyanyi time iza's reception kt dpf dulu tuh ke? 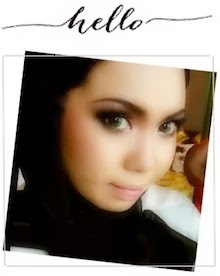 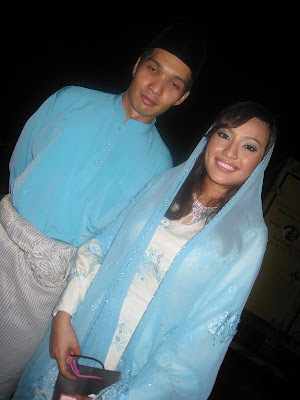 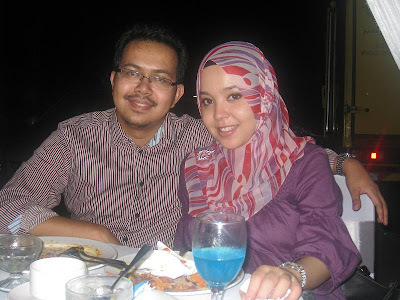 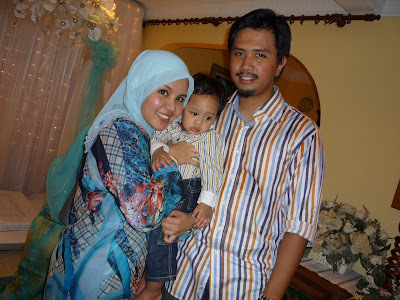 hey, i know her.. used to be my neighbour in kj.. wonder if her sister nadia dah kawen ke?